HELP FOR HOT SUMMER DAYS! In Mossouri’s unique climate, air conditioning problems are more than an inconvenience. They can quickly take a toll on health, productivity, and well-being. Whether your air conditioning repair is an emergency or your system requires routine service, Elite Heating & Cooling is licensed and certified to handle all brands and models. Excessive noise. Your air conditioner was designed to run quietly in the background of your home. If it is making its presence known, there could be trouble brewing with the fan motor, compressor motor, or bearings. Weak airflow. 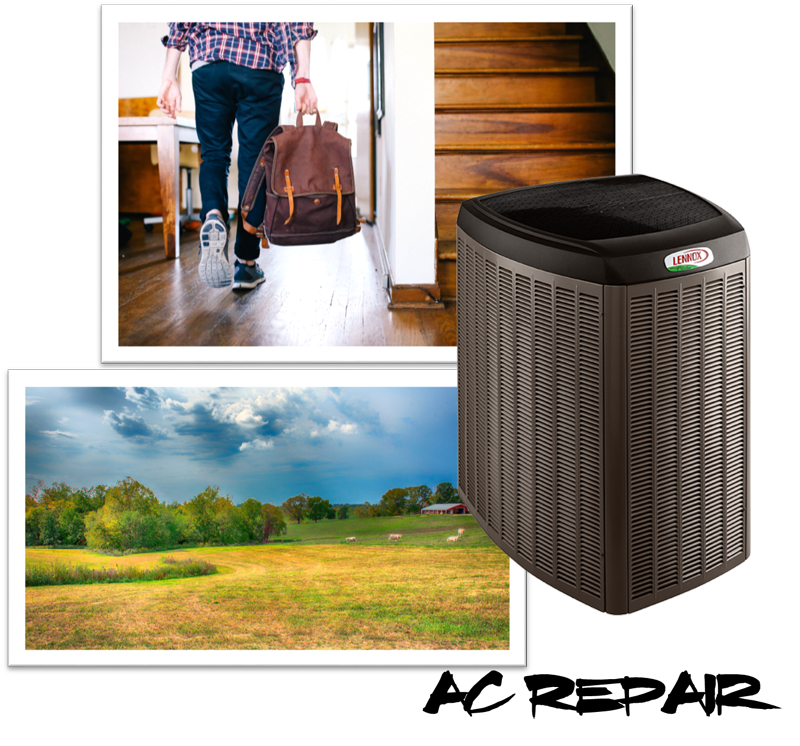 If your AC system isn’t producing cool, comfortable air, it could be as simple as a clogged filter—or as complex as total system failure. The professionals at Elite Heating & Cooling will diagnose your airflow problem and present the most economical options for repair. Long cooling cycles. Your air conditioner runs constantly, and you have already noticed inflated utility bills. There’s no doubt that hot days call for longer runtimes, but if your AC never gets a break, it could be because it is not properly sized for your home, it has air leaks, or the coils are dirty. If your system is old, it may just be operating inefficiently. For your peace of mind, the indoor comfort specialists at Elite Heating & Cooling offer experienced, competitively priced AC repair for our surrounding region. Our upfront pricing assures that your bill won’t surprise you, and our annual Elite Comfort Club maintenance agreements protect your system and give you scheduling priority when problems arise. To schedule an AC repair or learn more about our team of NATE-certified experts, dial (636) 887-0971. You can also get in touch online, and our Elite team will quickly reach out to schedule your service call.